Kayaking and snorkeling are two of the most popular activities in the Algarve region of Portugal, a beach-abundant area. 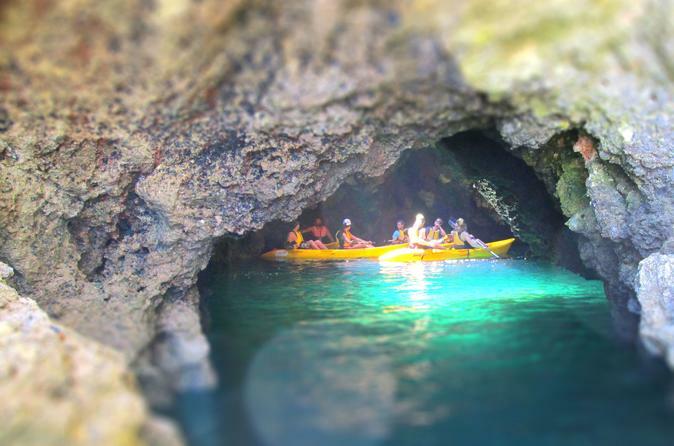 On this 3-hour tour, paddle across a stretch of the Atlantic Ocean, explore ancient caves and grottoes, and admire the natural beauty of the coastline. Choose a morning or afternoon departure when booking. 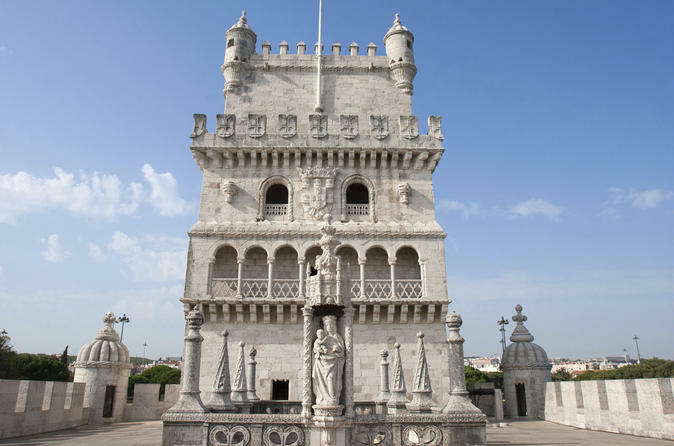 Immerse yourself in Lisbon’s enchanting history and sights on a day trip from the Algarve! With a local guide at your side, explore the neighborhood of Belém with its wow-worthy Manueline monuments and trace the history of UNESCO-listed Jerónimos Monastery on an audio tour. Wander around the charming cobbled streets of the Alfama quarter, see the Castle of São Jorge and enjoy some free time before returning to the Algarve. Sail through the Ria Formosa Natural Park on this 4.5-hour sightseeing cruise from Faro. Journey through the Ria Formosa channels on a 12-person catamaran and make stops at the islands of Armona, Culatra, Farol and Deserta. The tour is operated by a multilingual guide. Discover Portugal’s exotic natural wonders during this 3-hour catamaran trip to Ria Formosa from Faro. Board a comfortable catamaran with a small-group and discover the Ria Formosa Natural Park. Visit the Deserta Island and Farol Island, looking out for exotic birds and observing the daily lives of citizens in a local fishing village. This small-group tour is limited to 10 people or less, offering a more intimate experience. 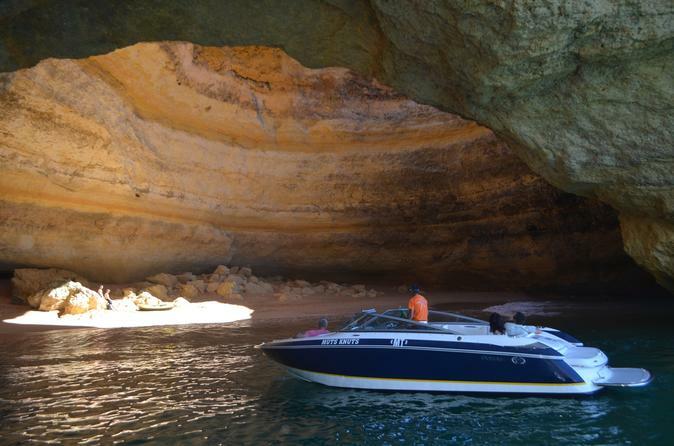 See Portugal's coast on this boat trip to see dolphins and caves in the Algarve. 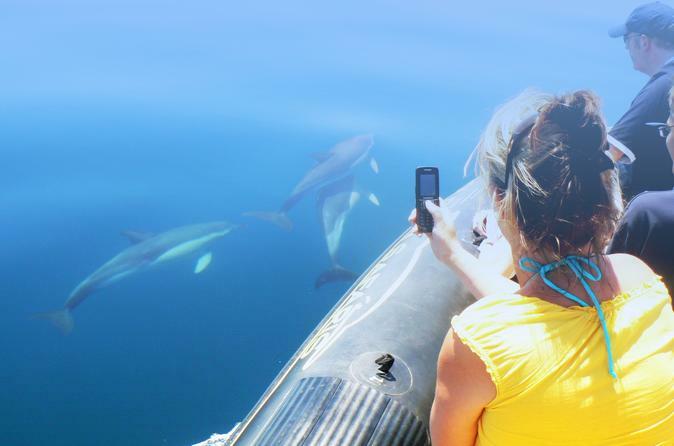 Join the amazing dolphin watch to see these magnificent creatures in their natural habitat. Take a magical journey in search of these wild animals then head west towards the amazing caves, rocks formations and beautiful algarvian coastline. 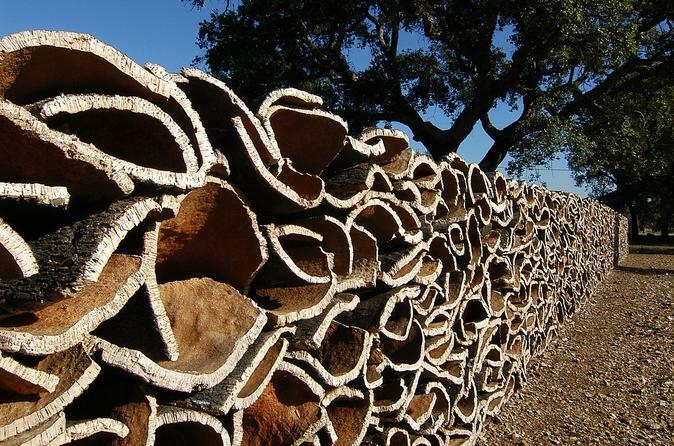 For around 1 hour 30 minutes, you will be able to understand the full transformation process of the cork industry, starting with a briefing in a conference room followed by a walk through the factory for you to see in first-hand how everything works. The cork factory tour can be a perfect combination to any holiday stay, as visitors are able to have a very educational visit, suitable to any person of any age, and this is for sure an excellent alternative to the beach. Two and half hours tour at Ria Formosa Natural Park, enjoy the beauty of this paradise, learn about the flora and fauna and the amazing birdwatching. Stretching out over 60km of unspoilt coastline, the Ria Formosa Natural Park is an amazing sight to behold and an excellent place to escape from the typical beach holiday. Come and fly with a professional crew that will take you on a real 'high flying' experience. Take off and land back on our specialized and custom boat. 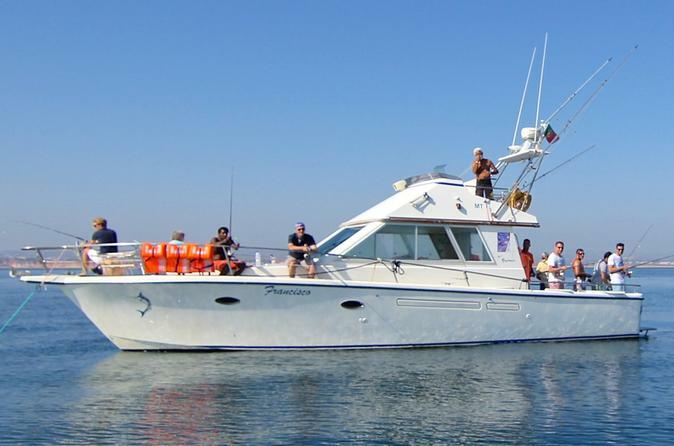 Embark on an ecotourism experience in Ria Formosa on board a “Saveiro” (a traditional boat). 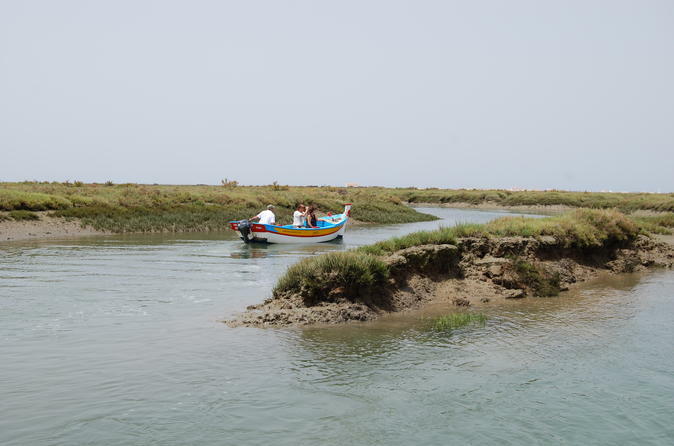 In the company of a nature tour guide, this boat trip will help you discover why Ria Formosa was elected one of the 7 Natural Wonders of Portugal. Since birds are one of the highlights of this park they are given special attention and this 2-hour cruise will get you up close to view them in their natural habitat. 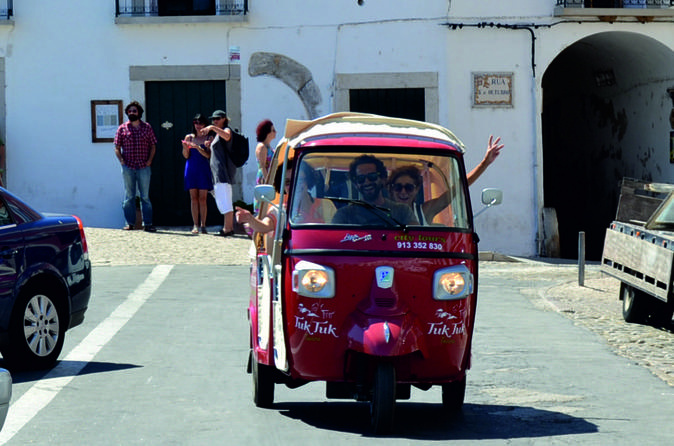 Discover Tavira's charms and immerse yourself in breathtaking views, local color and history on the Tuk Tuk Tavira Tour. The tour lasts 30 minutes. 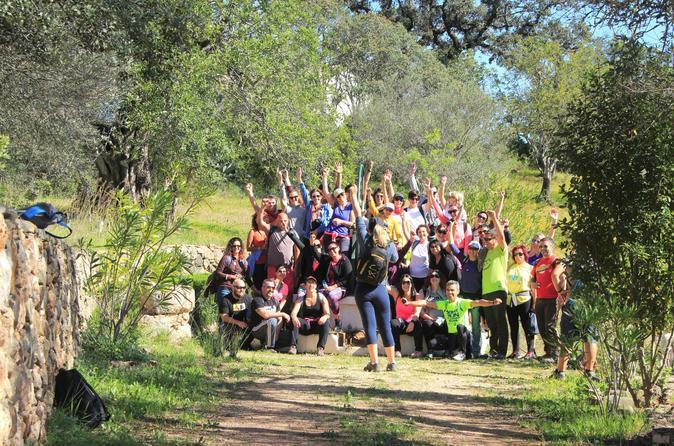 Experience the "Roman Trails Walking Tour" in exclusive, an easy hiking tour in Monchique, Algarve´s highest mountain. 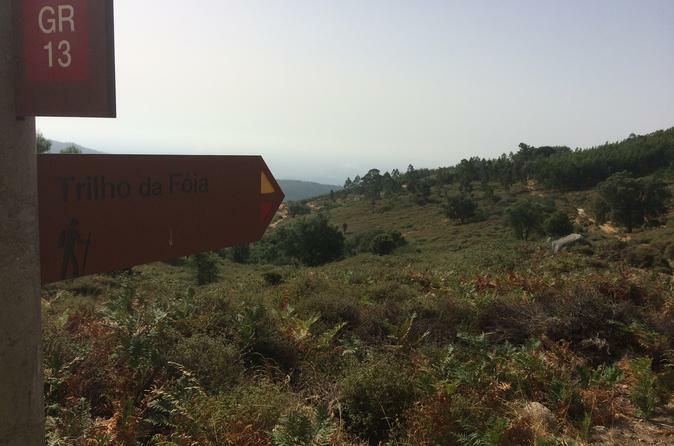 You will enjoy hiking for 8 kilometres surrounded by nature with a 360º view over the Algarve. We will start this tour in the highest point of the Algarve - Fóia and finish it in the center of the village. Along the way we will pass by the roman trails that will lead us to the Convent… An historical building that will make you go back in time and discover some stunning details in its ruins. Arriving to the city center, we will taste the traditional Tiborna (a local snack with bread, olive oil and garlic) to open the appetite for a delicious and traditional lunch. 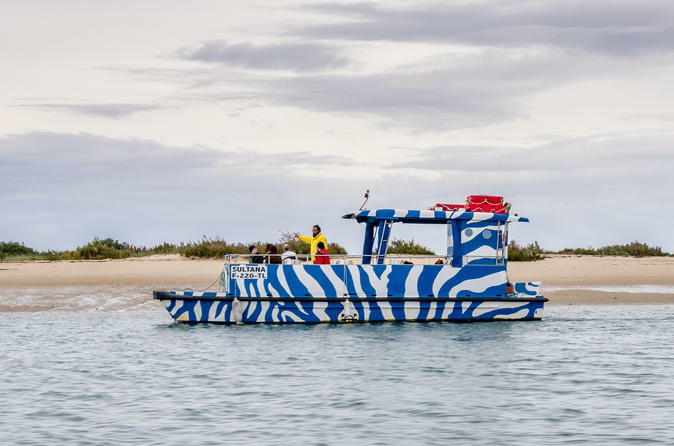 Explore the Ilha Deserta (Deserted Island) in the Algarve and observe native Portuguese birdlife in its natural habitat on this 1.5-hour tour of the Ria Formosa Natural Park from Faro. 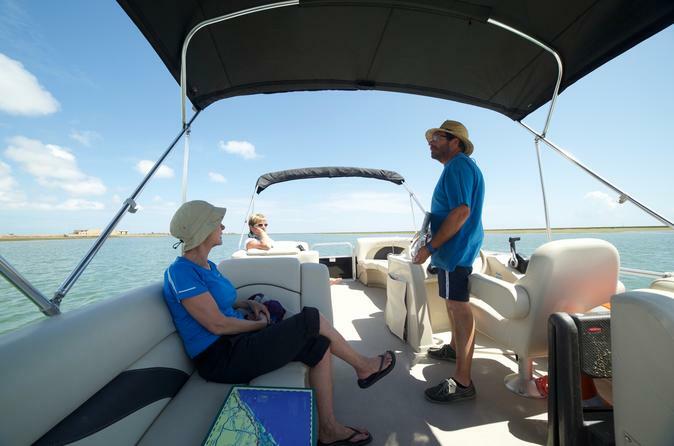 Cruise through the Ria Formosa Natural Park with a guide and admire panoramic views over the beautiful Algarve scenery. Watch the beaches, waters, and skies for sightings of native birdlife such as black-winged stilt, flamingos, heron, and plovers, and gain insight into the birds’ behaviour. Visit the Ilha Deserta and enjoy free time to relax or sunbathe at your leisure. 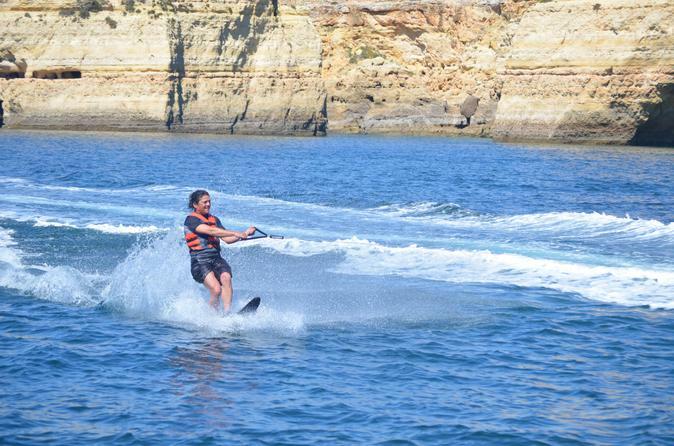 On this 8 hour tour you will get to know the real Algarve and be taken where tourists don't normally go. This is a different day out with authentic Portuguese gastronomy, culture and live music. 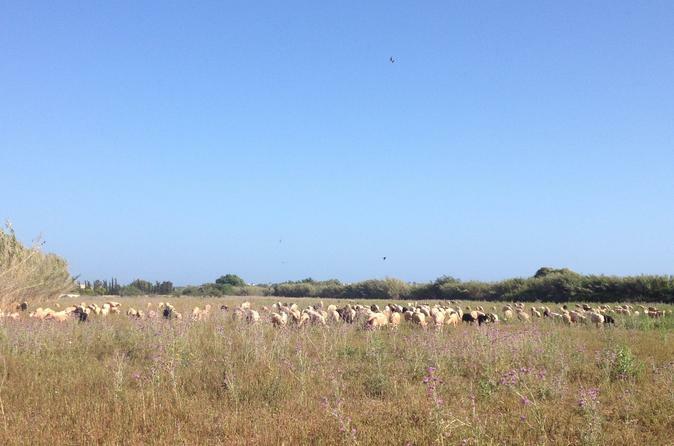 Visit the organic farms and taste the natural flavors of the Algarve region. 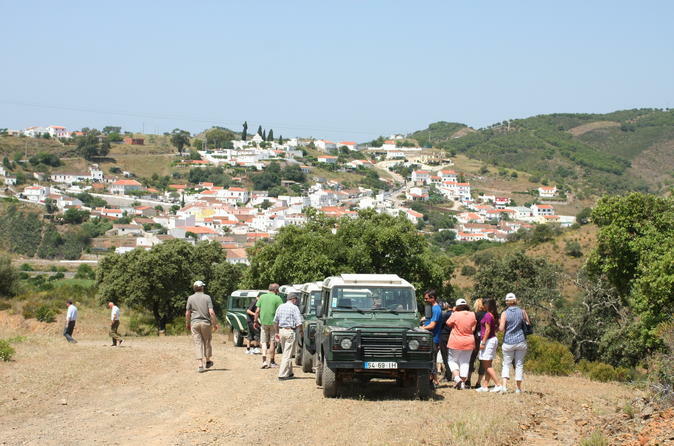 Join this exciting Jeep safari and cruise through the natural border between Portugal and Spain. The Ria Formosa National Park is a complex ecosystem. Enjoy approximately 2.5-hour bike ride and follow your knowledgeable and explore the nature with unique views. 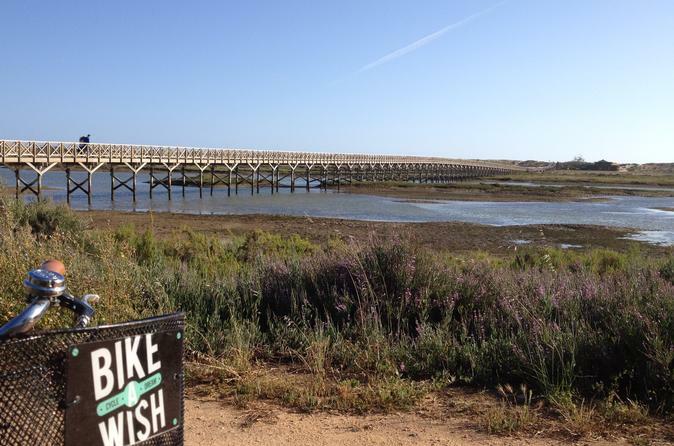 Discover Ria Formosa in a fun and environmentally friendly way. 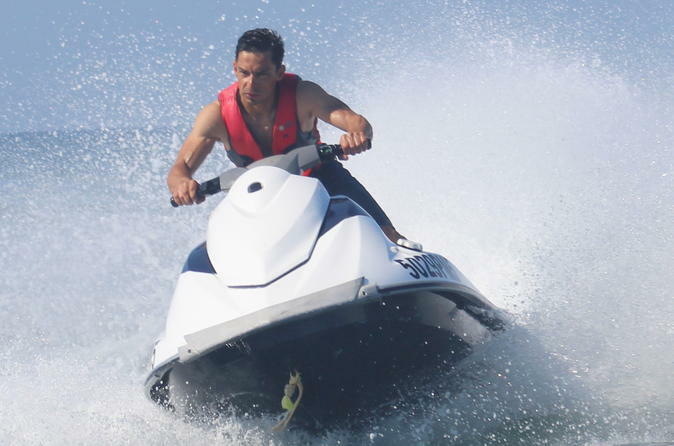 Try out the new three-seat jet skis and experience a day full of adrenaline. 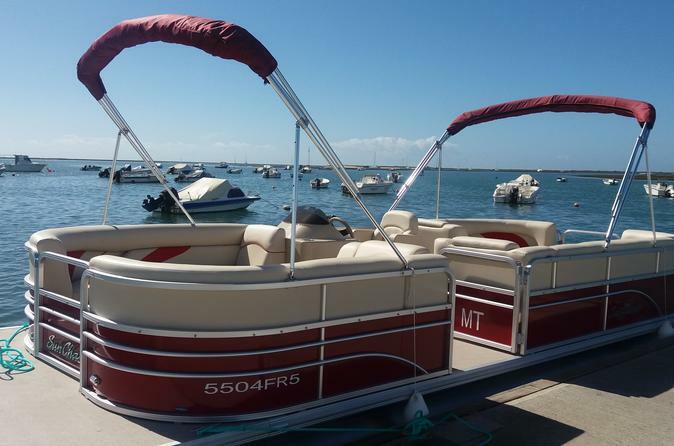 Have fun in Vilamoura Marina and enjoy views of the coast. 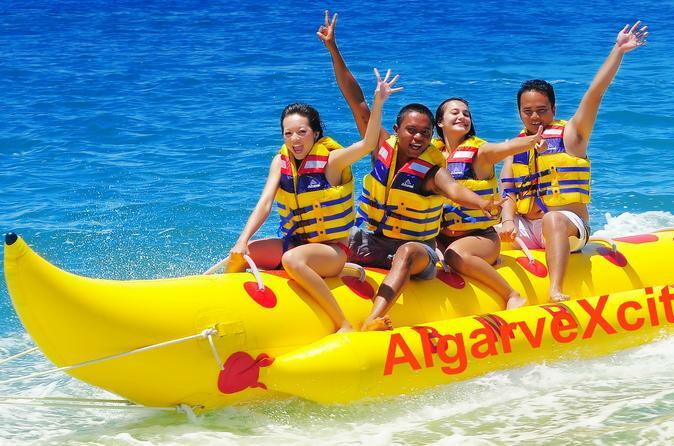 Have fun with your friends or family on the banana boat ride. Whether you are a beginner or an experience rider, you can experience something that suits your abilities, supervised by a professional team. Experience Portugal with this unique experience! Slip and slide through one of Portugal’s biggest parks with this Aquashow Park entrance ticket. Dive into its swimming pools, water slides, wave pool, shows, and much more. 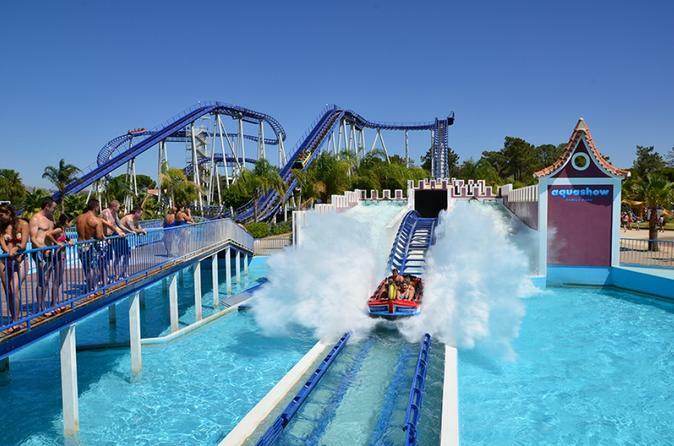 Careen down Europe’s biggest water roller coaster. Take advantage of ample facilities, such as spacious changing areas, lockers for rent, lounging areas, and restaurants, snack bars, and kiosks that serve food and drink for every budget. 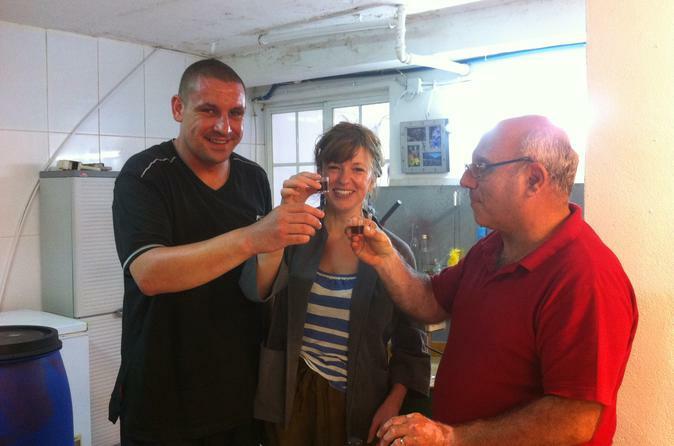 Join this tour to explore traditional Portugal and taste some delicious honey. 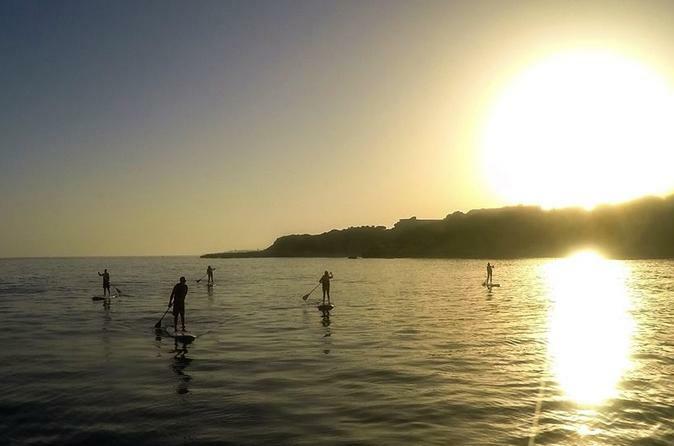 Come with us on this perfect combination BIKE N'SUP (Stand Up Paddle), with guide, insurance and all equipment included. Broaden your experience with this full or half-day private fishing trip. 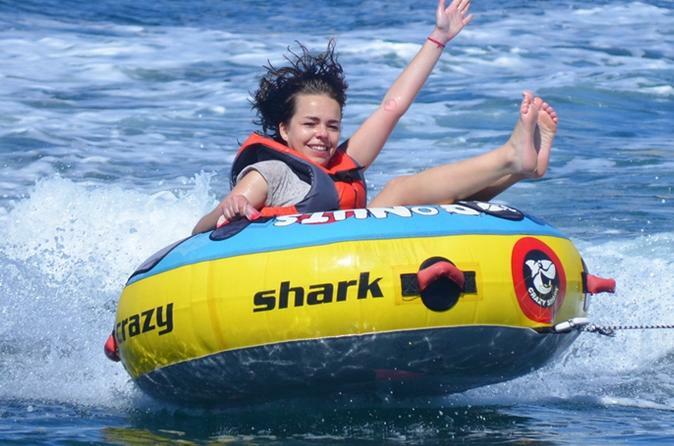 Whether it is reef fishing, big game fishing or shark fishing, you´re sure to have a great time. Our 30 years of experience in these waters means our professional crew know just where to go for that once in a life time catch. Our speed boats are available for private hire with a crew, letting you be in control. 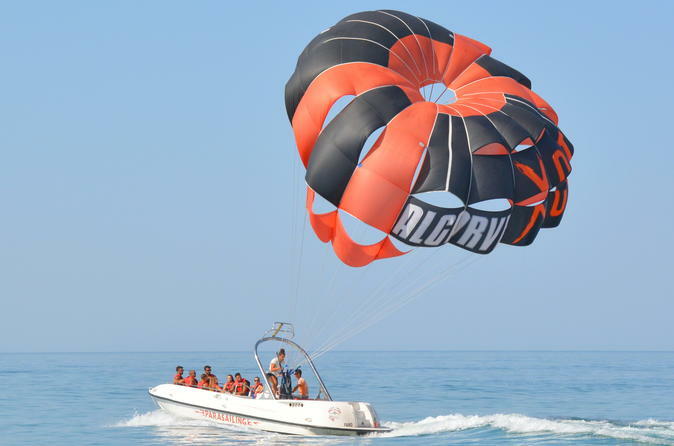 Rent by the hour and you can cruise the Algarvian coastline. 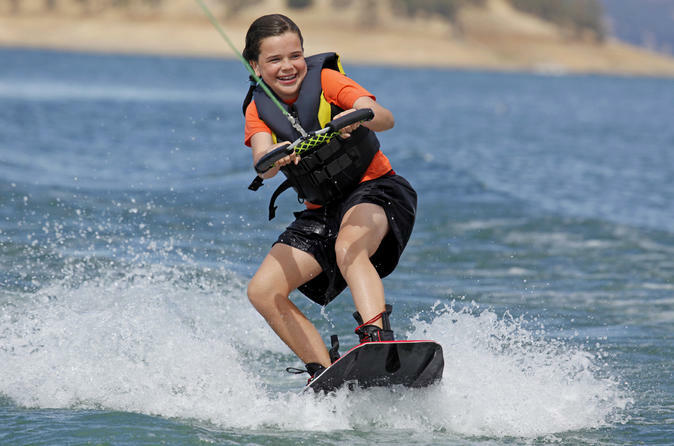 Try wake boarding, water skiing or ringo rides. You will have an experienced crew member at your disposal who will make your activity memorable. 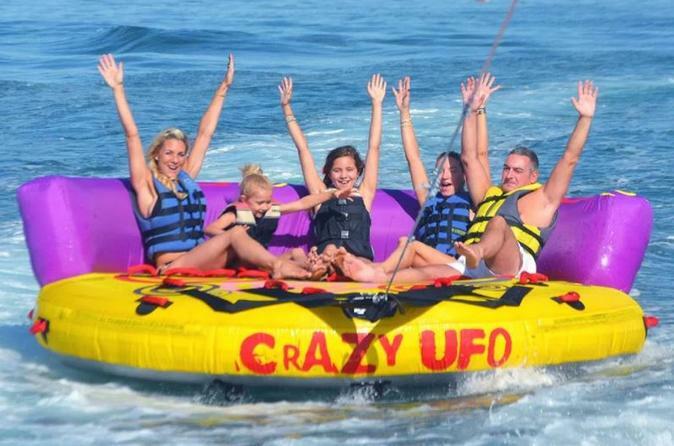 Have great fun on the Crazy UFO inflatable boat ride. Bounce along on the waves in the wake of the boat, maybe get a little airborne in the process. Enjoy the experience with your friends or family, guided by a professional team. Have a fantastic experience with this full-day fishing trip. You are guaranteed to have great fun on your Reef Fishing Day out with professional crew members there to guide you to a once in a lifetime catch. 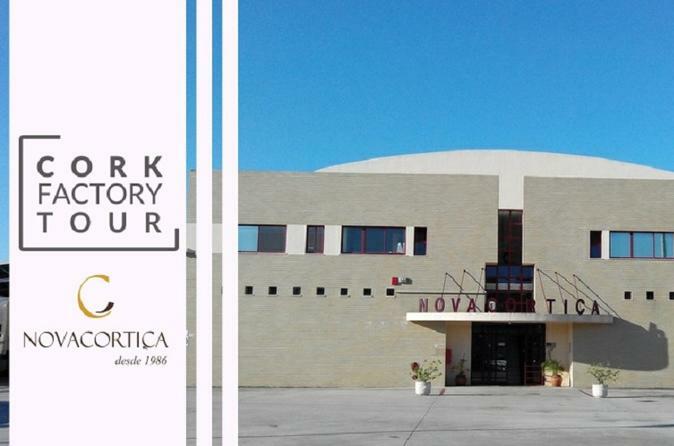 The tour starts from Vilamoura towards the Cerro da Vila Museum, from the road we can appreciate the artifacts that left by the Romans in Vilamoura. We ride along the beach, along the well-known and appreciated Quarteira Boardwalk, the ‘Calçadão’. Enjoy the landscape, feel the freedom that cycling gives you, the sea breeze in your face. Stop at the end of the boardwalk for refreshments. Return to inner Quarteira and the next stop is the Old Vilage. Here feel a kind of "Miniature Portugal", where everything seems to be on a small scale. Inspired by Portuguese 19th Century architecture, you will find cobblestone roads and very well appointed gardens, surrounded by golf courses, making it very peaceful area. 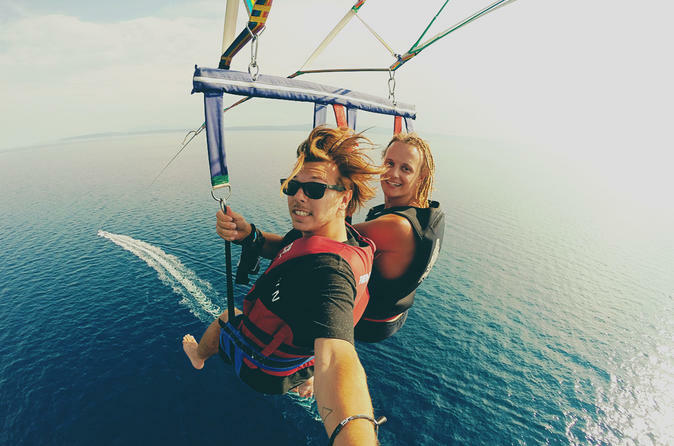 Come and fly with a professional crew that will take you on a fun high-flying, parasailing experience. Take off and land back on the specialized and custom boat. Bring your friends and family and enjoy an hour of absolute fun with us. The best rides for adrenaline lovers. Whether you're a complete beginner or an experience rider, you will have a great fun. Our professional team will assist you and your family or friends and ensure you have great fun. The activity that we offer our visitors, is quite original, an authentic experience through the interaction with activities of a rural area, allowing the visitor to enjoy direct contact with the roots and identity of the community from where it originates. 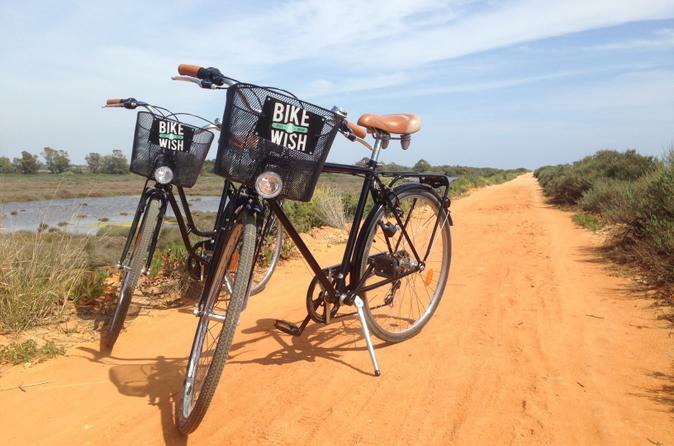 Journey through the heart of Ria Formosa National Park on this 2.5-hour guided bike tour. Venture out into Portugal’s wilderness with your expert guide, who will guide you to the most scenic spots. Explore the park’s delicate ecosystem while admiring its diverse array of flora and fauna. Along the way, you’ll learn fun facts about this unique place. A fantastic walking tour in the mountains, with a certified guide that will tell you all about this region, fauna & flora. We will visit the most famous river in Loulé área with a waterfall. This tour can be combined with a cultural tour, visit to the beekeper and a traditional lunch in a local restaurant! 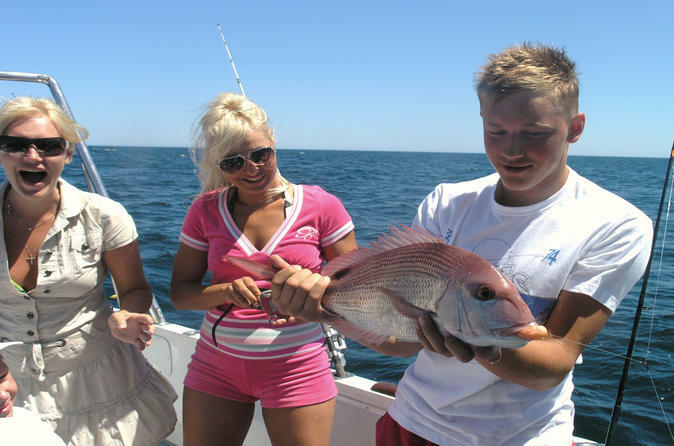 Have a fantastic experience with family or friends on this half-day fishing trip. Have a great time, lead by an experience crew that knows just where to go for that once in a life time catch. Have great fun on the Ringo boat ride. 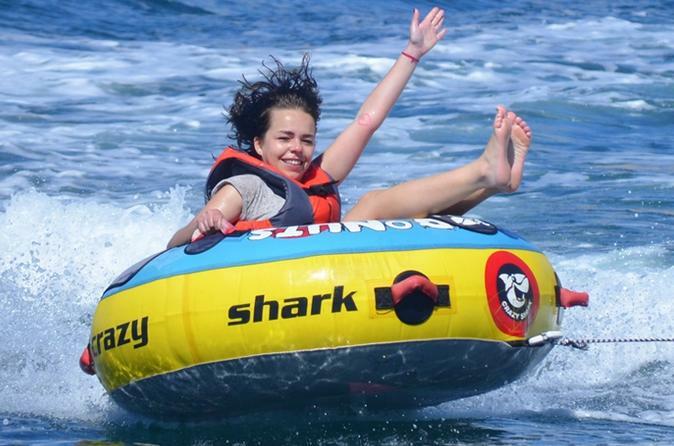 Be pulled along as you bounce over waves; be sure to hold on tight and try not to come off! Fun for all ages, no experience is required. Pace cam be suited to your needs. 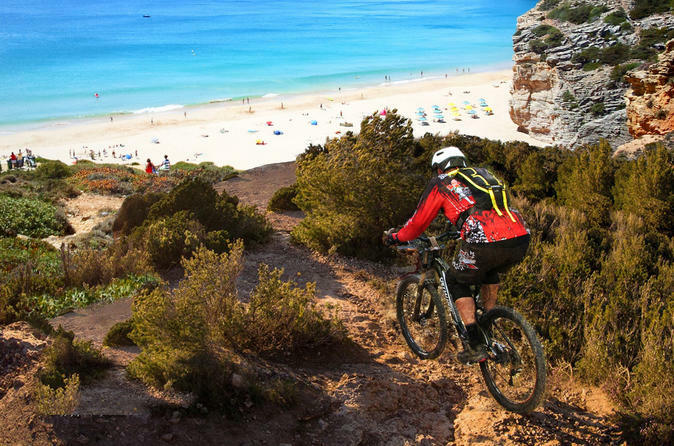 See the beauty of Portugal’s countryside and villages on this 3-hour bike tour from Vilamoura to Quarteira. 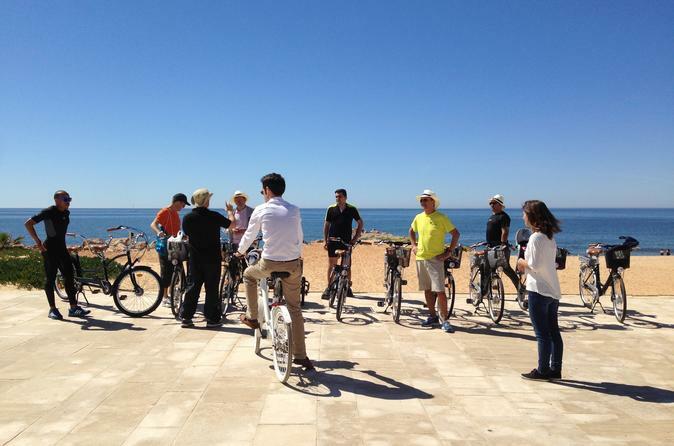 Meet your professional guide in Vilamoura, then pick out your favorite bike. Start peddling toward the Cerro da Vila Museum. Along the way, watch the photogenic cityscape pass you by. See historic points of interest like Roman ruins and old villages with cobblestone roads, plus a dose of beach scene on this dynamic bike tour. Have great fun on the Ringo boat ride! Be pulled along the fresh Atlantic ocean as you bounce over the waves hold on tight and try not to come off. It's a fun adventure suitable for all ages, no experience required. 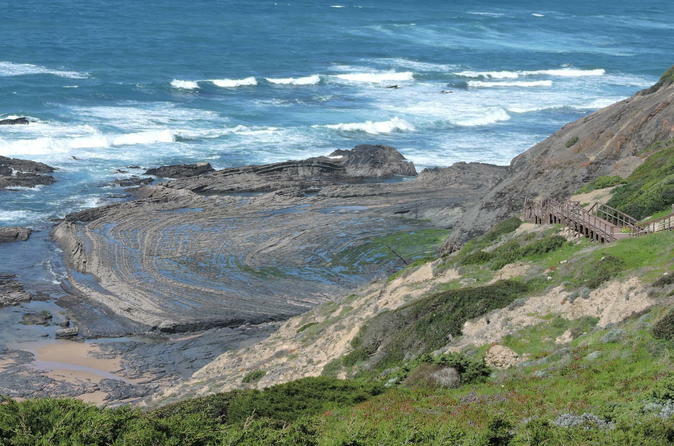 Discover the unique landscapes of a coast unchanged by man at the Costa Vicentina National Park. Experience a guided walk through nature and take in the views and culture of Portugal. The best rides for adrenaline lovers. Whether you're a complete beginner or an experienced rider, you will have a great fun. Our professional team will assist you and your family or friends and ensure you have great fun. 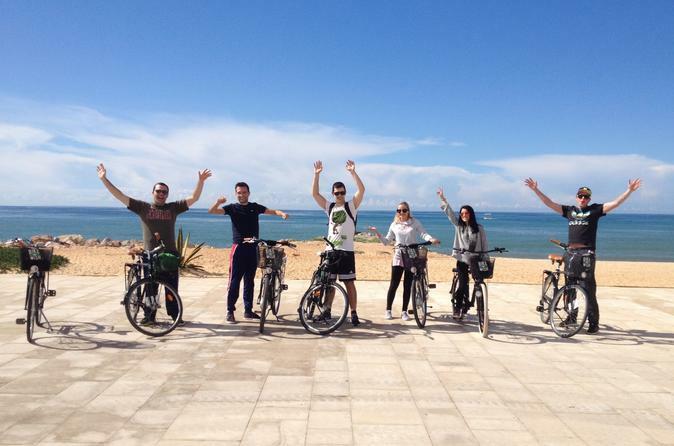 Pedal through Vilamoura’s tranquil Environmental Park on this 2.5-hour guided tour. Spend some time breathing in fresh air and admiring the scenery at this natural reserve. See native Portuguese flora and fauna, including flowers, wetlands and tortoises. Keep an eye out for elusive Mediterranean birds and get an up-close look at the park’s curious sheep and horses. This tour is a great way to relax and explore by bike.